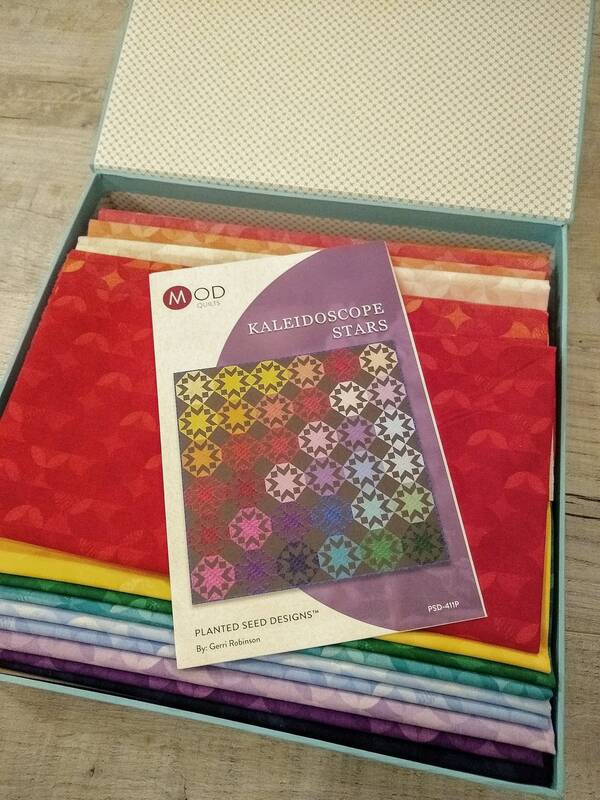 The Kaleidoscope Stars Quilt Kit includes pattern and fabric for quilt top and binding in a keepsake box. 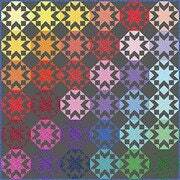 Fabric featured is Crayola™ Kaleidoscope. 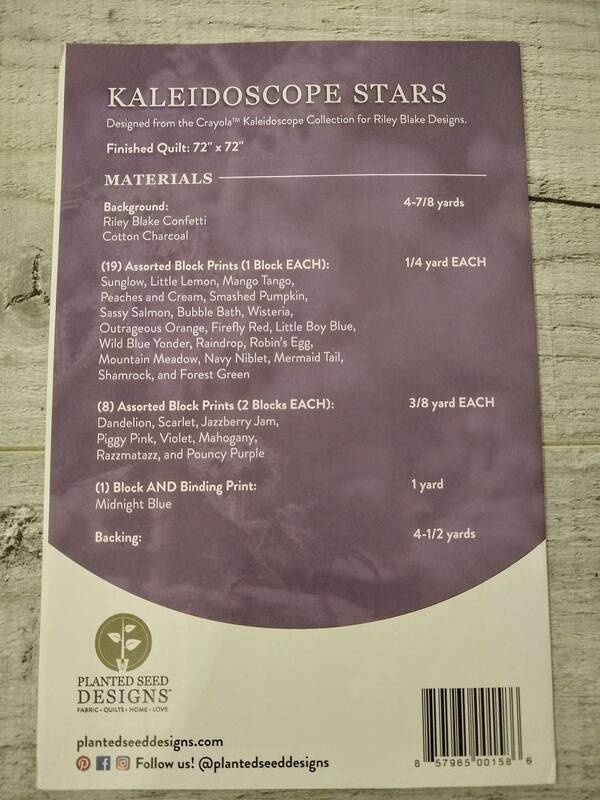 Pattern is by Gerri Robinson of Planted Seed Design. Finished size is 76" x 76".